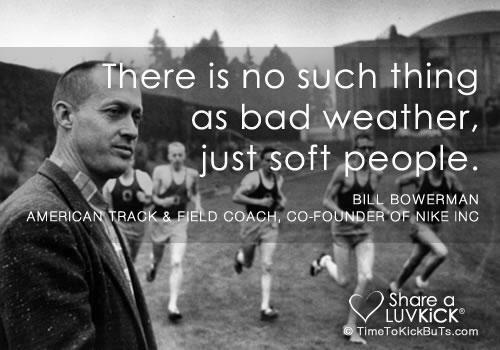 March Recap & BRM Update: It's Taper Time! I've made it to the final phase of my Blue Ridge Marathon training: taper time! This month I completed long runs of 18, 13.1, 21, 12, and 22 (you can read all the juicy boring details of my 18, 13.1, and 21 mile runs here). 12 miles in 2:11 (10:57 pace) - DONE! On some of my previous "cutback week" long runs, I've run way too fast. I really tried to take this one easy and I made myself take my walk breaks even when I didn't want to. I knew that I needed to do this since it was the week between the two of my longest runs, and I really don't want to mess around with over-training right now. I ran mountain #3 (Peakwood) on the BRM course. Yesterday was my longest, hardest run ever. 22 miles in 4:16 (11:39 pace) - DONE! I ran mountains #1 and #2 on the BRM course (Roanoke Mountain and Mill Mountain). I had never run Roanoke Mountain before, and I was considering saving it for race day. But I decided to run it yesterday to help me feel a little more confident. I really enjoyed the run on the Parkway to the Roanoke Mountain loop. It was beautiful and peaceful, and you had a long time to look at the mountain you were about to ascend. At this point you are running downhill. You have to go to the top of that mountain in the distance. I had my own personal road crew with me (i.e. my awesome husband on his bike) from about mile 8.5 on. This part of the course is a little more secluded from the parts I normally run, so I wanted him with me for safety reasons. We ended up seeing quite a few other runners (likely also training for BRM). The 4 mile Roanoke Mountain loop was by far the hardest part of this run. I tried to maintain my 4:1 run/walk intervals, but there were some points where I was running just as fast as I could be walking, so I just walked. The uphill lasted a little under 2 miles, and I was very glad to see the beautiful view at the top. I'm embedding two interactive Google Street Views below...the first one has you starting at the bottom of the loop (so you can see what it feels like to climb the loop) and the second one has you at the top with the gorgeous view (go to the left to go back down). The loop runs counter-clockwise. The run down Roanoke Mountain was honestly harder than going up. I think that's going to be one of the toughest parts of this race...the downhill. It hurts. Once I was done with the loop, I was over halfway done with my run and I just had to make it back home (ah, the beauty of an out-and-back run...). I ran back towards Mill Mountain on the Parkway, ran up the road to the Star, and headed down the "old road" on Mill Mountain. After that it was flat/very slightly uphill for the rest of my run. So with this run in the books, I have officially made it to taper time. This makes me a little nervous though because I made it just this far in my first (and failed) attempt at training for a marathon when I hurt my back. I feel much stronger and smarter this time around, but with that said I'm going to be very cautious for the next three weeks. Next weekend I'm shooting for a 12-13 mile run, and the weekend after that I'll do an even shorter run. After that, it's racing time! Just ONE MONTH until race day! Normally this would cue freak-out mode, but I had an awesome 21 mile run this past weekend that left me feeling very confident about finishing this crazy race. After I completed long runs of 12, 14, and 16 miles (read about those in my previous BRM training update), it was time for a cutback week. 11 miles in 1:57 (10:41 pace!) - DONE! It was a beautiful morning for a run and it was a good one. I went up mountain #3 on the Blue Ridge Marathon course (also known as Peakwood). I stuck with my 4:1 run/walk intervals. This really seems to be a good method for me. Once again, I was much faster using this method than when I would try to run the whole time and only walk when I need to. Honestly I think I manage to run the hills mountains more than I normally would...I can convince myself to keep running just a little longer until my watch beeps, whereas I would've normally just given up and walked. 18 miles in 3:34 (11:56 pace) - DONE! This was my first time running more than one mountain on a long run. I ran mountains #2 and #3 on the BRM course (Mill Mountain and Peakwood). I wasn't feeling so energetic on this run to begin with, and the second mountain (BRM mountain #3/Peakwood) hit me much harder than I thought it would. It was also ridiculously cold, cloudy, and a little windy, so that didn't help much either. Andrew met up with me and rode along side of me from about mile 9 to mile 14, which was very nice. I utilized my 4:1 run/walk intervals, but I ended up walking a lot more of the second mountain than I would have liked to. Honestly this run was a little rough, but I got it done. 13.1 miles in 2:17 (10:27 pace!) - DONE! I was really feeling great on this run. It was so sunny but comfortably chilly...beautiful weather for running. I ran up mountain #2 on the BRM course. I was feeling so great that I didn't take many walk breaks (only when I needed to refuel), and I tried to push it in the end. I ran way faster than I should have for a long run, but I didn't care...I even beat my 2012 Blue Ridge Half Marathon time by a few seconds. 21 miles in 4:04 (11:39 pace) - DONE! Wow. This is the farthest I have ever run. And it was great. So great that I added an extra mile to my planned 20 mile run. This was such a confidence-booster and made me feel good about actually finishing BRM (and finishing = my only goal). You'll notice that this route is similar to my 18 mile run (with the addition of 200 feet of elevation gain), but I had a 17 second/mile faster pace than on my 18 mile run. Woohoo! Before you even start (and maybe even the day before), you need to mentally prepare yourself. It's important not to freak yourself out, but to have a positive attitude. It's important to have a plan. What route are you going to take? How much fuel do you need to bring? At what pace will you run and will you take walking breaks? After you've settled into a good pace and you've moved into the middle of your run, you need to be persistent. Sometimes those middle miles can feel a little boring and slow, and you just want to be done. At this point I will sometimes start blasting Pandora through the speaker on my iPhone to help me stop focusing on how many miles I still have to run. Towards the end you must have perseverance to push through those difficult and sometimes painful miles. You just have to tell yourself to keep going. Think about how far you've already come and try envisioning yourself finishing your run. Take it one mile (or one walk break) at a time. After you're done, be proud of what you've accomplished. 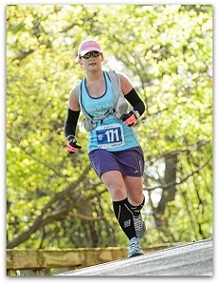 This weekend I have another cutback week...I'll probably do 12-13 miles on either mountain #2 or #3 on the BRM course. The next week is another 20(+?) mile run, and then it's taper time!! Hopefully in another month, I will be a marathoner! And I'll be able to say I ran my first marathon on America's toughest road marathon course. P.S. If you're still reading this, you deserve an award. If you previously entered my Premier Protein giveaway but did not win, just leave me a comment telling me you want to be a winner. Apparently two other people didn't want to claim their free stuff (Mary R. and Ray), so I have one more "prize" to giveaway. So, the first person to comment saying they want it, gets it! You must have previously entered to win. 1. One of the winners from my Premier Protein giveaway hasn't contacted me, so I'm picking a new one! RAY! Please send me an email ([email protected]) with your mailing address! 3. 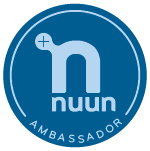 I've been selected as a Nuun Ambassador! This means you get to hear me occasionally talk about how much I love Nuun. It gets me through all of my long runs...it helps me to stay hydrated without being overloaded with sugar. So, yeah...Nuun pretty much rocks. 4. I got a treadmill!! My sister graciously gave me the treadmill that conveyed with their house, so I now have a treadmill "in case of emergencies"...such as 10 or 100 degree temperatures, or when I decide to run at 9 pm. It's in our unfinished basement, which has pretty low ceilings. Thankfully I'm pretty short so I won't hit my head when I'm running. We definitely need to make it more workout-friendly down there though. I honestly probably won't use it that much, but now that I've dropped my gym membership it's nice to have a backup plan. And hey, it was free! So I won't feel bad for not using it that much. 5. I'm loving the time change, but I still haven't fully adjusted. I look outside and I'm happy it's still light, but then I look at the clock and think "What the heck? It's already 7:00!? "...I feel like I have less time but I really only lost one hour on one day. I'm sure I'll be adjusted in another week or so. On a related note, I haven't been getting nearly enough sleep as I should be. I'm pretty terrible about sitting on the couch until 9 (the time at which I should be going to bed in order to get 8 hours of sleep) and then finally convincing myself to get off the couch and pack lunches, then get ready for bed, and before I know it, it's close to 10:00. I really need to be better about this. Have you adjusted to the time change yet? Do you get enough sleep? No and no. I probably get more sleep than most people though (usually 7 hours). Just a quick post to announce the winners! Thanks to everyone who entered my Premier Protein giveaway...and welcome to those of you who are new followers. Thanks for reading! Congrats! Please send me an e-mail ([email protected]) with a mailing address so that you can get your free samples of Premier Protein products. I promise I won't subscribe you to junk mail. If I don't hear from you within 72 hours I'll pick another winner. 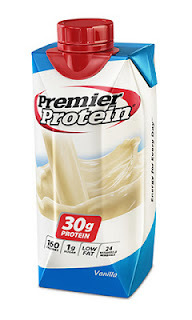 Even if you weren't a winner, you should definitely check out some Premier Protein products...my favorite is the vanilla shake. yum yum! Running Miles: 87 - highest running mileage in over 12 months! As I mentioned before, Blue Ridge Marathon training is going well so far. This month I did long runs of 12, 14, 16, and 11, all with significant elevation gain. 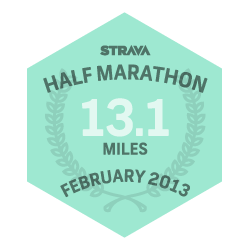 With my 14 mile long run I earned the STRAVA February 2013 Half Marathon Badge! connect with me on STRAVA! I followed my 4:1 run/walk routine and I finished 11 miles in 1:57, which is an average pace of 10:41...way faster than my normal long run paces and great in my opinion considering elevation and walk breaks. I don't expect to be anywhere near that pace for the race though! 18 miles, 2,159 feet of elevation gain. Yes, I'm scared. After my 18 miler, I have long runs of 10, 20, 10, and 20. Bring it on, March! P.S. Have you entered my Premier Protein Giveaway yet? It ends on Monday night! !